Now, Stephen Drew wasn’t using some poor woman’s face as a floor sander, and he wasn’t inflicting himself on some defenseless middle-school girl. (Note I am not being catty and adding “as far as we know.” Because in my opinion, we do know: He wasn’t.) But he certainly abused his place and his power, and he sure as hell took advantage of women in his congregation. For a minister, the guy had ice in his veins. Lived completely alone, didn’t even have a dog or a cat. He really creeped me out once when he went off on this riff about the Crucifixion as a form of execution. Very scholarly, but later it was clear that even his lawyer had wished he’d dialed down the serial-killer vibe. Author Chris Bohjalian continues to challenge himself and his readers by delving into controversial and provocative topics. Secrets of Eden is a page-turner about domestic violence and what at first appears to be a murder-suicide in a small Vermont hamlet. The story is told from four points of view: from town Pastor Stephen Drew, who remained close to Alice Hayward well after their affair ended; from the well-meaning and dogged prosecutor Catherine Benincasa; from Heather Laurent, a best-selling author who suffered the same thing in her teenage years and now sees Angels; and from the Hayward’s teenage daughter Katie, who witnessed her father beating and verbally abusing her mom for years. As a story-telling technique it works quite well for Secrets of Eden as we gain insight from those intimately involved (Stephen and Katie) as well as an outsider’s perspective (Catherine and Heather). What Bohjalian leaves us with is an exquisitely crafted whodunit as well as an expose on domestic violence and its tragic consequences. 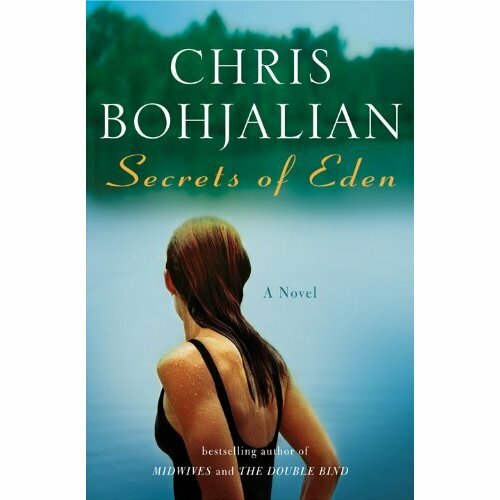 A compelling read, Secrets of Eden is truly memorable and a conversation starter. This entry was posted on February 7, 2010, 20:55 and is filed under Books. You can follow any responses to this entry through RSS 2.0. Both comments and pings are currently closed.